Up, Up and Away! 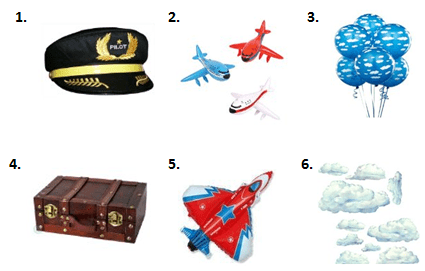 Do you have a little one who loves airplanes and dreams of becoming a pilot one day? 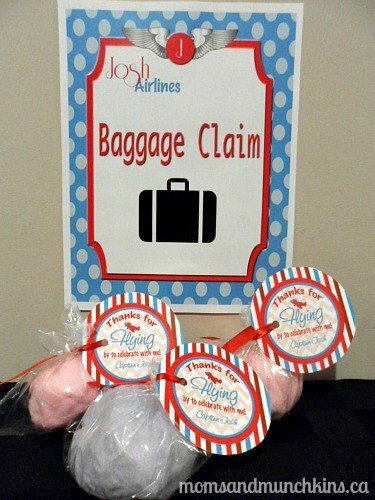 Here are some fun aviation birthday party ideas that he (or she) is sure to love! Here I’ll provide ideas for invitations, decorations, activities, food, dessert and treat bags. All of the cute printables featured here were created by Just a Little Sparkle. 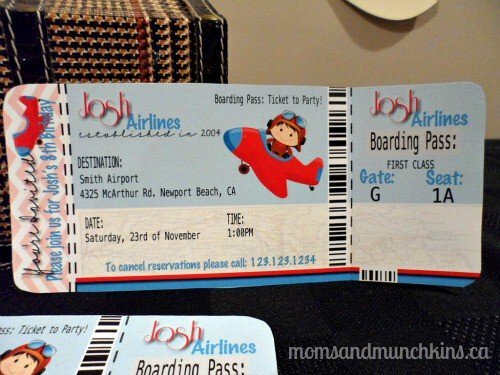 An adorable idea for an invitation for a aviation birthday party is a boarding pass similar to what you’d find at the airport. 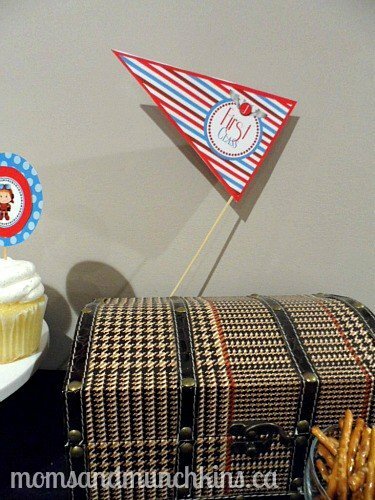 This cute design from Just a Little Sparkle can be customized with all of your party details. 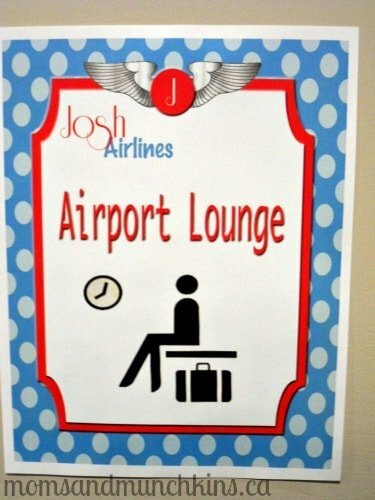 When you print them out, you’ll want to cut all of the edges rounded so that it looks even more like a boarding pass. You can also perforate the invitation along the dotted lines. Whenever I’m trying to think of ideas for a party, I brainstorm ideas for everything that comes to my mind when I think of that theme. So what comes to mind when I think of aviation? Pilots, airplanes, clouds, flying banners on planes, passports, luggage, airplane propellers, first class, baggage claim, airport lounge, in-flight snacks…and the list goes on! 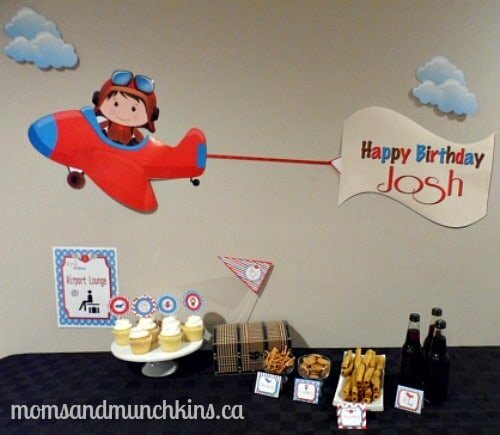 A fun idea for a banner is to have an airplane with a flying banner behind it that says “Happy Birthday!”. Did you know that you can print party printables on poster sized paper at your local copy center? For under $4 each, I printed the fun airplane and banner shown in the first picture above. I linked the two pieces together with a red ribbon. 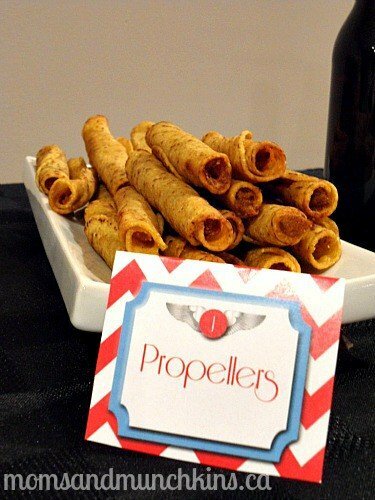 Your aviation birthday party food could include some popular in-flight snacks like cookies and pretzels along with more filling choices like propellers (skinny spring rolls or bread sticks) and mini clouds (filled puffed pastry appetizers). 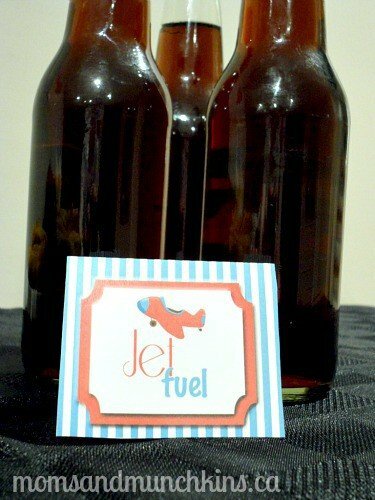 Bottle labels for “jet fuel” is a fun idea for pop or water bottles. You can never go wrong with delicious cupcakes for dessert. One of the great things about cupcakes is that you can have a few different flavors so that there is a fun variety to choose from. 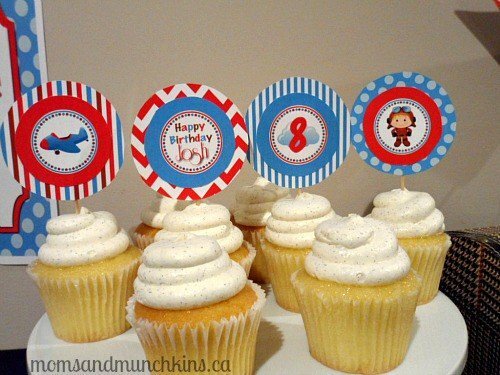 These cupcake toppers from Just a Little Sparkle are the perfect touch to bring the theme together. What is the longest flight you’ve ever been on? 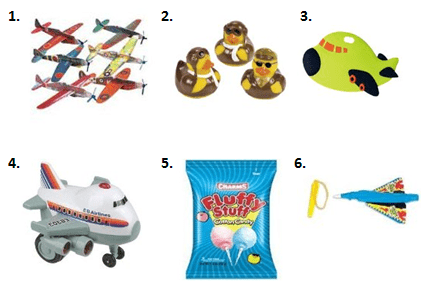 For even more fun airplane activities, party ideas, snacks and more, visit our special Airplane category. We’re adding new & creative party ideas all the time. Never miss an update by following us on Facebook, Twitter, Pinterest and Bloglovin’. *Disclosure: I am part of the Tiny Prints, Inc. and Amazon affiliate programs. Just a Little Sparkle provided the printable party supplies for my use free of charge. All opinions expressed here are my own. So cute! 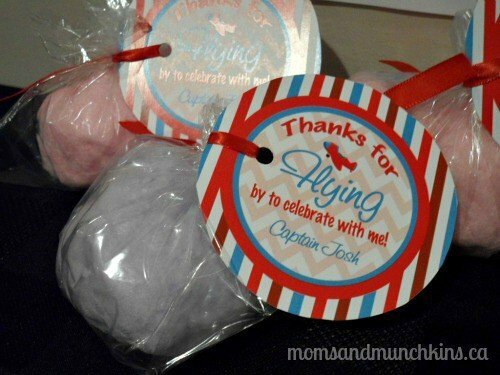 I love the Child Pilot Hat idea; what a fun party favour that would make! How can I get this stuff??? 🙁 do I just have to look for it or can I order them on here? If so, how do I? Please need help. Love this theme..for my baby shower. Hello Lisette! 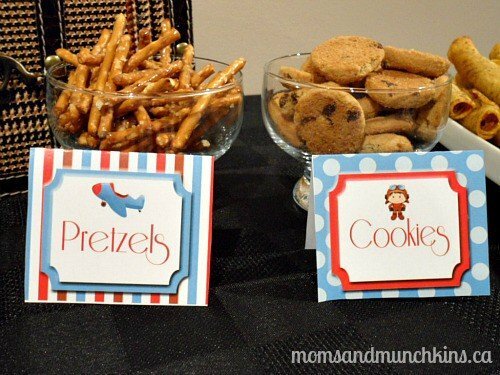 The printables for this party are by Just A Little Sparkle. You’ll find the link to her up in the first paragraph of the post. She’d be happy to help you with your baby shower! Where did you get the clouds on the wall on the picture. Looking for my son’s birthday party.